​Come and experience a journey through the core routines of nature connection. Feel embodied and empowered through building connection to yourself, others and the natural world. The course design is inspired by natural cycles as we follow the seasons through the year. On this journey we will explore through games, embodied experience, sensory awareness, story and song, crafting and practical skills, reflection and journeying. All of this will sit on a foundation of building a culture of connection and personal growth that can be accessibly woven into your daily life through specific, manageable practices and peer support. This course will offer an opportunity to develop deeper relationship to nature for adults. The activities and camping will require a degree of physical resilience. 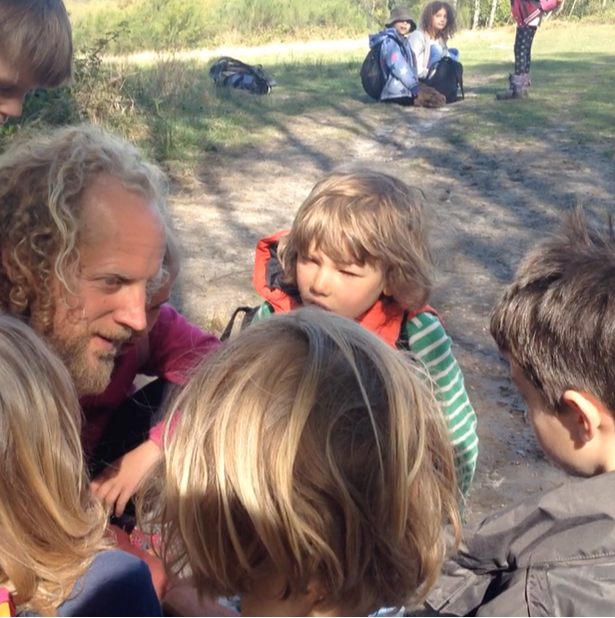 It will be helpful for those working with people outdoors including eco-therapists, teachers, forest school and bushcraft leaders, or anyone wishing to open the space within their busy lives for nature connection. ​​Two longer camps and 5 weekends. Weekends start on Fri evenings. For the longer camps these will be full days with the option of arrival the evening before. We are committed to evolving our plan in response to the group and nature and therefore although we have a clear intention of what we will be offering each gathering, this is subject to change. Click on each of the dates to find our our intended focus for that gathering. We will be engaging with the element of Air and bird language. We will have a particular focus on our sense of hearing in nature, games that draw out bird language and spend time connecting and learning about the individual birds. This initial gathering will lay the foundation for the year. We will spend some time forming the group, inviting cultural elements into the group, for example a practice of gratitude at the beginning and end of each day, and co-creating agreements for our group. We will build debris shelters and have the opportunity to sleep in one for a night. We will also spend time introducing the core routines in an experiential way so that you leave this first gathering with plenty to practice and integrate in our month in between. You will also be invited to connect with another participant as a peer mentor to check in around your personal goal for integration and continuity. Along with continuing the breadth of core routines, we will be diving into the world of plants during these five days. We will be connecting to plants through playing games, journeying, wild foraging and crafting containers of bark and weave. This will be a playful weekend enabling joyful depth through sensory engagement with the plant kingdom. The trees and plants provide the materials of wood and tinders to begin our exploration into natural fire making. On the Sat 7th you’ll have the opportunity to be a part of one of the long-term children’s mentoring programmes. You will have two options: either to explore how to hold a group of children and the flow of a day including games, story-telling, crafts and exploration out in nature together with experienced mentors, or to have a playful secret scouting mission and practice your silent movement and nature awareness core routines. We will be adventuring into the landscape creating simple camps along our way. We will be led by our discoveries, the trails of the animals, the weather and flow of the landscape and watercourses. This will give us an opportunity to connect to our bodies' intuitive senses and reflect upon the relationship between our inner and outer landscapes. Learn about the animal tracks and sign of our wildlife and through the core routine of animal forms feel into the experience of being a deer, a fox, a badger or mouse. The Sun is at its fullest power, with the longest days and nature expanding into the fullness of its expression. The trees are full and green, flowers bloom in the hedgerows, the air is full of the buzz of insects, the animals' young play and explore in the warm sun. It's a time when we come together and celebrate life. This weekend you'll have the invitation to honour the energy of the sun through the night by lighting your own fire at dusk and tending it until the sun rises. In this Fire Quest you will have physical and internal preparation time to consider questions to take on this journey. This can enable the receiving of inspiration and guidance. ​Amidst the harvesting of berries and nuts we will share the story of the peacemaker from the Iroquois Nation (Lake Michigan, USA) and draw out what we can learn from this teaching story to apply in our day to day lives and in the tending of our relationships. We will consider how we can enhance peace within ourselves and how nature connection practices can support this. We will bring awareness to how we interact with others and how we can integrate the 'Good Message' and aspire to come from a place of peace in our communications. Through the weekend there will be opportunity to share each of our own life stories and explore how we can redefine any stories that keep us from realising the fullness of our potential. In this longer gathering we intend to celebrate the inner and outer harvest of our year together with a wild feast. We will be bringing awareness of heritage species and spending time connecting with the gifts of the oaks and all the nutrition that is encapsulated within their acorns. This opens the opportunity to connect and honour our ancestors and all those who've walked the land before us at this time of Samhain. We will explore the natural cycles and how they can be drawn upon in designing the flow of a day or gathering and how they can provide the structure of a map for many of the cultural elements we have experienced through the year. ​ Victoria Mew, Anna Richardson and Daniel Yabsley, with additional specialist instructors. Anna has many years experience as a nature mentor and has worked extensively with adults as a foraging and bushcraft instructor and forest school trainer. Her passion and speciality has been facilitating connection to the plants through foraging and journey work. Having worked with many children in nature over the years and watched them grow and thrive, parents have often expressed wanting the gift of quality time in nature for themselves. 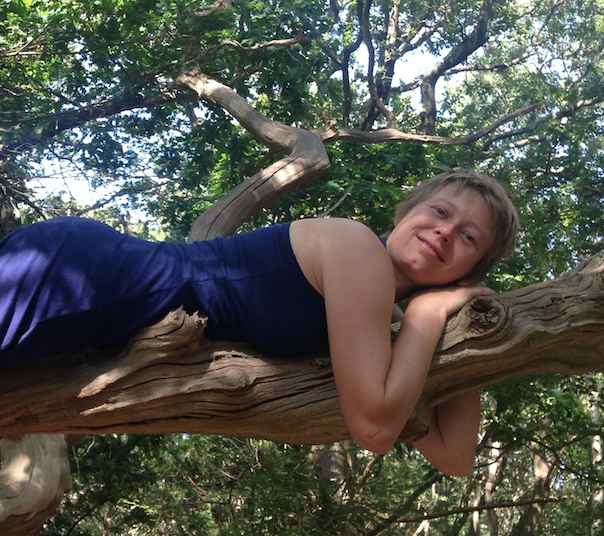 Anna is looking forward to facilitating a longer programme for adults that enables a deepening of the journey and relationship to each other and nature throughout the seasons. To read more about Anna click here. ​Having grown up on a small holding on the Channel Island of Guernsey, Daniel had always sought out ways to be in, and connect to, nature. This has been coupled with an equal interest in connecting to humanity and has resulted in a wide spectrum of outdoor work; various gardening and agriculture, social care work; mental health support and live-in care with tetraplegics, university studies; Geological Oceanography BSc and Applied Marine Science MSc. All interspersed with healthy doses of traveling, including cycling solo to Morocco. To read more about Daniel click here. Victoria has spent the past ten years integrating the wealth of experiences she had at the Wilderness Awareness School on their Anake programme. This has predominantly been through setting up ongoing nature connection programmes for children. Having presented at the Art of Mentoring and having so many adult participants ask about what nature immersion trainings are available, she feels inspired to offer one. She is looking forward to building relationships and sharing this rich bundle of teachings on this nature immersion journey through the seasons. To read more about Victoria, click here.